Our full fishing departure from Andaz Hyatt Papagayo with 2 lucky clients to the Gulf of Papagayo. Our fishing day started at 7:30 a.m, we pick up our clients from the beach of the Andaz Papagayo Resort. 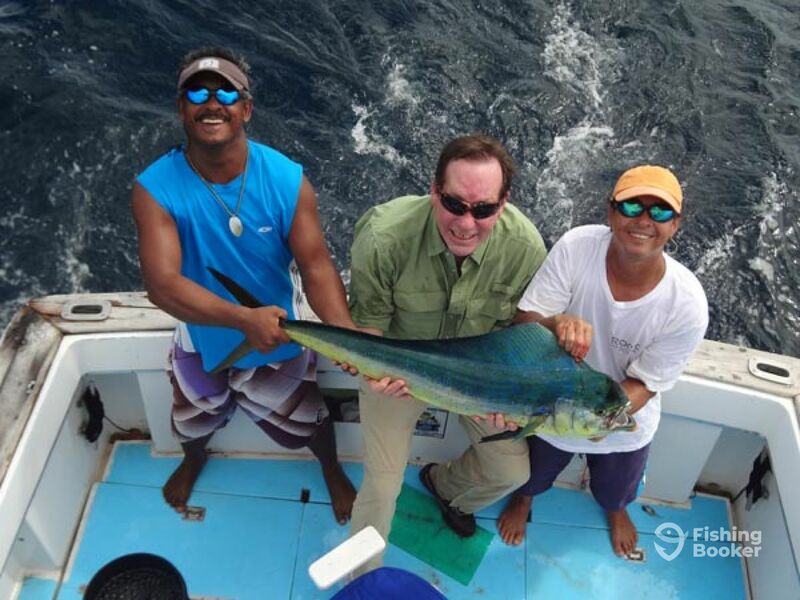 Clients were happy to be fishing in Costa Rica, our Captain Nelson Méndez and two mates working hard to worth every penny for them. We hook up 5 dorado or mahi mahi as some people call it. 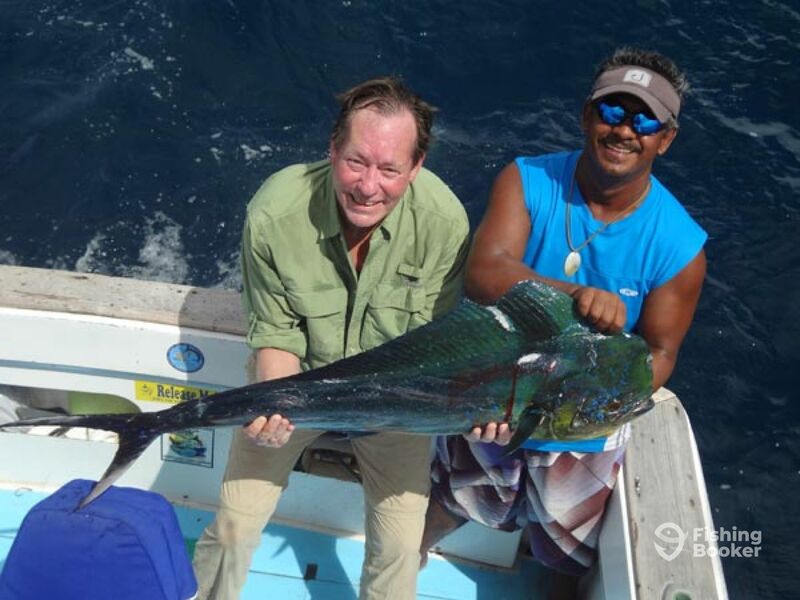 There are several species of tropical fish that you could catch and bring back for your dinner. 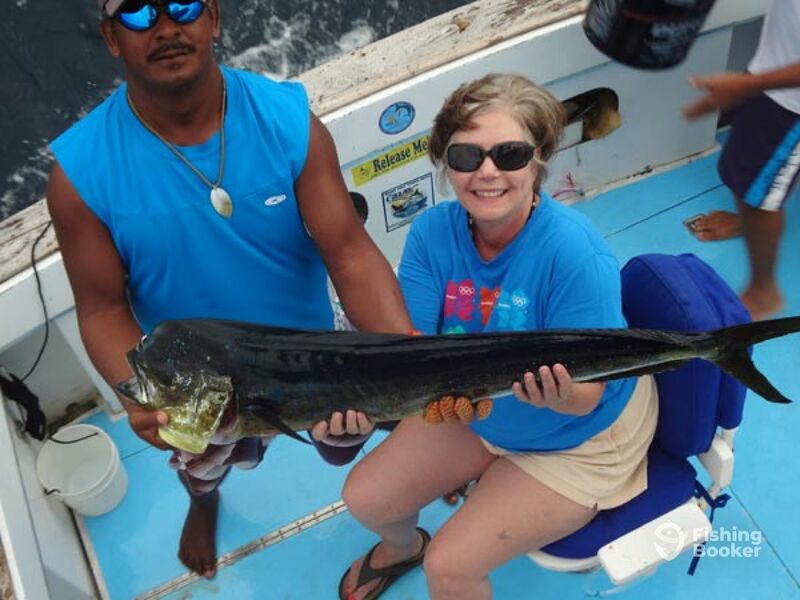 The Gulf of Papagayo is perfect for in shore and offshore fishing practice, is you stay around you need to book a charter and enjoy Papagayo Fishing. If you have lucky you will see dolphins, whales and turtles!